I installed it... clicked on "Chrome Default", but what does this do exactly? I still can't access my email. I'm sorry, what do you mean by the second part? So myself and another user have been asking for help for awhile regarding Yahoo login. Not even with the newest update can we access our emails. This is an absolute joke. You're saying we can't use this browser to access one of the MOST USED EMAIL WEBSITES IN THE WORLD??? 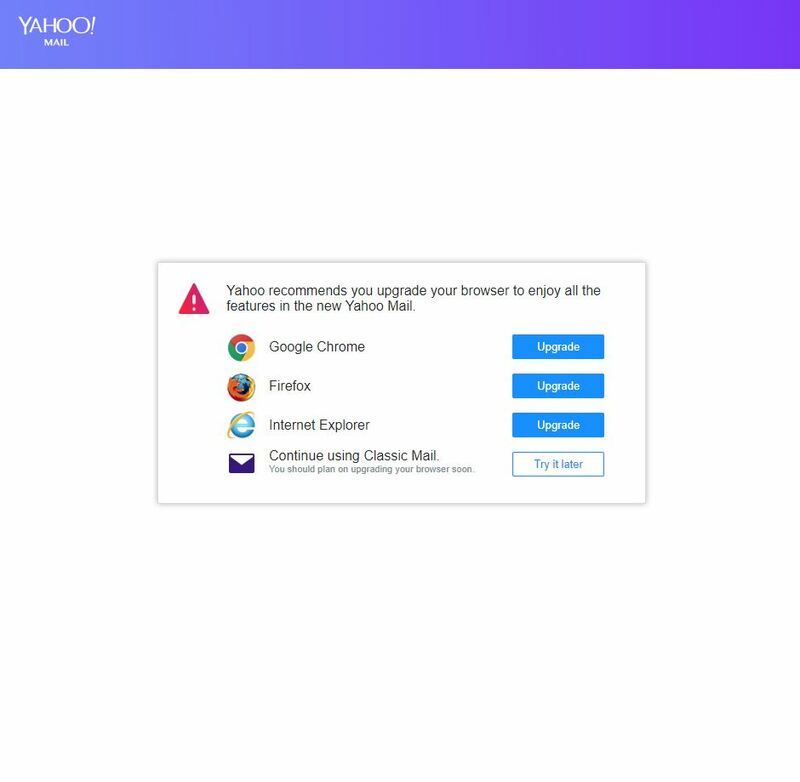 So I tried to opt into using the newest version of yahoo mail, but now when I click Mail from the yahoo homepage... I get taken to this page. From here clicking on "Try it Later" only refreshes this page. I'm on the newest version of Iron.